Home | Birds | Puffin with sandeels,stood with wings out 3. June '11. 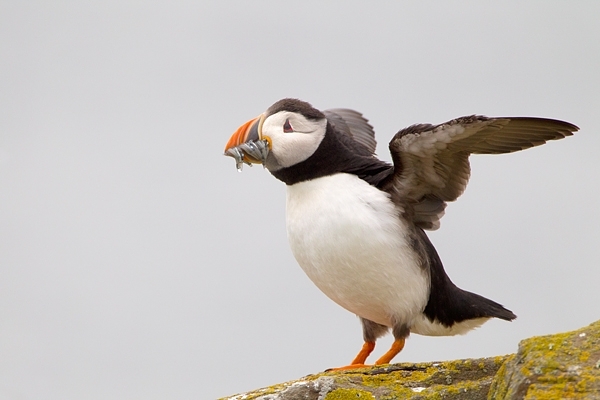 Puffin with sandeels,stood with wings out 3. June '11. A day out on the Farnes.